With our last blog in July we questioned British Airways´(BA) strategy and its focus. Apart from the intended, now cleared, merger with Iberia to form International Airlines Group (IAG) there seemed to be no clear way forward for the company to compete with its two Europe main rivals Air France/KLM and Lufthansa. In this summer period several movements have taken place which have altered the picture. Either BA has changed its ways or its incorporation into IAG has made it rethink its strategy. Before we comment let us look at what has happened in two months. At a news conference on 27th July last "oneworld" members American, BA and Finnair announced the incorporation of "Air Berlin" into the alliance planning to complete the process early 2012 just before the opening of the new Berlin Brandenburg hub airport. Air Berlin´s Austrian affiliate (49.9%) "NIKI" will become an associate member of "oneworld" while no mention is given to AB´s Swiss affiliate(49%) "Belair" nor to its German subsidiary "LTU". Air Berlin´s sponsor is BA. While this incorporation will be tremendously beneficial to "oneworld" - filling a huge gap in Central Europe with its large affluent population in the three countries - it is not so easy to see the benefits for IAG. Speaking in Mumbai on September 5th to announce the codeshare agreements made with "oneworld" partner Kingfisher, BA´s CEO, Willie Walsh, also announced IAG´s intention to take over and/or merge with several other airlines. From an initial list of over 40 candidates this has been reduced to 12 probables. Though WW did not mention any airline by name he suggested the main areas to be looked at were China and India. As a result of this speculation became rife. 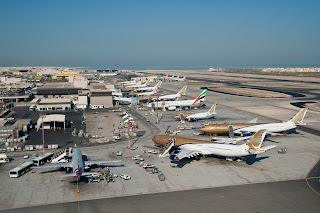 The Guardian , Airline News, Breaking Travel News, among a host of other news sources, including Arabian Business.com, all provided lists of candidates for joining IAG. To understand what is going on all these manouvers should be looked at as a whole not in isolation. The invitation to Air Berlin to join "oneworld" is a surprise to most people. "Oneworld" up to now has been looked upon/ or presented as an exclusive alliance of the best full service airlines. AirBerlin has been looked upon as a low-cost carrier which has moved up-market but is far from being a quality full service carrier. Maybe our perception is now wrong. However, without doubt it offers to fill up that empty space in central Europe which has been "oneworld´s " Achilles´ heel. It has been mentioned as a candidate for IAG thus providing a strong presence in Central Europe, however, it would be a very big mouthful to swallow, at least initially. On the other hand other factors may have made BA look at the market in a different way. Way before it went bust Mexicana announced it was in difficulties which suggested that the full service airlines were not immune to problems even in such a large market as Mexico. On the other hand it has subsequently been revealed that Malev was days away from closing meaning that Central Europe could well have been left without any "oneworld" members. The partners in the alliance had no control over the events but surely had knowledge that one, or both, of its members was in difficulties. Now it appears that Aer Lingus(EI) is talking to different alliances with the idea of joining one. "oneworld" is at an advantage as BA already codeshares with EI on the London-Irish routes and it was a member of this alliance previously. However, it is not the only suitor as EI´s CEO, Christph Mueller said to Bloomberg recently(14-9-10). Whatever the state of the game let us look at what has been mentioned and try to put things into perspective. Iberia has a large minority shareholding(45.85%) in VUELING. This has its main base at Barcelona and is a hybrid with low-cost flights combined with codesharing with Iberia. It is Iberia´s second carrier supplementing in Europe what Iberia cannot or will not provide. 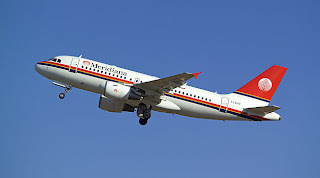 AIR NOSTRUM - Iberia Regional is a francisee but does a good service for Iberia in supplying passengers from lesser airports both in Spain and in Europe.This is a strong candidate to be incorporated into IAG to protect Iberia´s backyard. FLYBE. It claims to be the biggest regional airline in Europe. 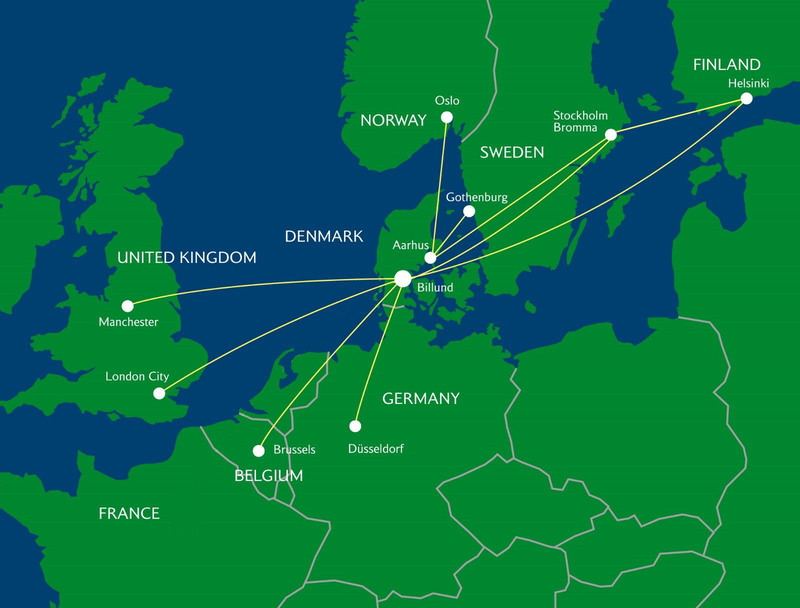 It has a strong presence at lesser airports in the UK while it has just signed an agreement with Finnair to provide regional services in Finland and across the Baltic. BA has a 15% shareholding which was obtained by selling BA Connect to Flybe. BA has had a hands off approach codesharing some flights while, inexplicably, permitting Flybe to negotiate a wide ranging code sharing agreement with Air France to feed passengers on to its flights. Maybe BA has decided to pull in the reins. SUN-AIR Scandinavia is a BA francisee based in Billund (Denmark). The agreement was originally signed in May 1996 for Sun-Air to operate as a licensee linking BA services at Copenhagen, Oslo and Stockholm. It does not seem to have fulfilled the original intentions. The company did not even fill in the gaps left by the demise of Sterling in Denmark. However, the potential still exists to be a link between BA and Finnair in Scandinavia. FINNAIR. This is an airline with good connections to the Far East. Now that it has signed the aforementioned agreement with Flybe it could find itself with better feeds for its long distance services. It is too small to continue on its own so is a strong candidate to enter IAG. MALEV. This airline has been mentioned as a candidate for IAG but with its financial problems being aired recently probably nobody would want to touch it with a barge pole. MERIDIANAFLY. The link with BA is very tenuous as BA only has one codeshare agreement with Meridiana between London and Florence. However, the company has a strong presence in Italy, both domestically and with European and Intercontinental leisure flights, which is an appealing market for IAG. This company must be on the shopping list. American Airlines has always been looked upon as a strong candidate to merge with BA. However, the US government has not made any moves on the limitation of foreign airlines having no more than a 25% shareholding. This is something BA has already experienced with its attempted investments in US Air and UNITED. The Americans would undoubtedly want to be top dog in any merger. Hopefully, the Iberia part of IAG would put a damper on that. Another question is LAN(now established in Chile, Argentina, Peru and Ecuador). It has just decided to merge with the Brazilian airline TAM to form a holding group called LATAM while retaining their own brands. There might well be reticence on the part of both to immediately submerge into IAG without enjoying the benefits of the merger and the possibilities of expansion as a South American group. While LAN has been a member of "oneworld" for some time TAM has only just entered into Star Alliance(May 2010). One can see a big battle between the alliances to incorporate the other member. LAN is extremely important for "oneworld" while TAM is the only Latin American member of Star - all this is more important since the demise of Mexicana. This will be a battle to watch and is certainly not decided as yet. It could be a candidate for the future. South African Airlines has been mentioned as a candidate for incorporation into IAG. Though it is a very interesting morsel we doubt if the SA government would want its flag carrier to be swallowed up. It is already a member of Star Alliance. BA on the other hand has an 18% shareholding in Comair of South Africa. This airline provides domestic and regional flights connecting to BA´s services at Johannesburg and Cape Town. It also has a low cost airline, Kulula.com working mostly in the domestic market. It seems logical that IAG would take advantage of the stake to build up its presence in South Africa. 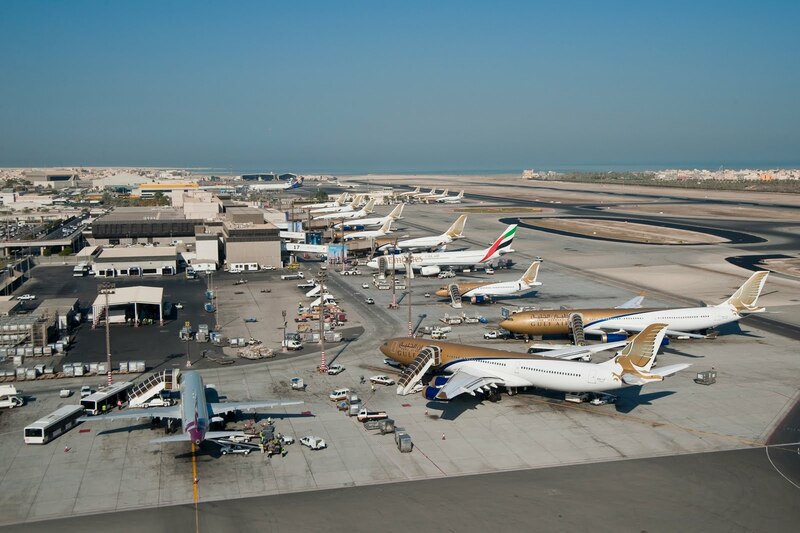 With Emirates, Qatar Airways and Etihad making concerted, and so far quite successful, attempts to become important airlines with hubs in the Gulf, the other Gulf airlines are feeling the squeeze. That does not mean that "oneworld" or IAG should ignore the Gulf. Quite the opposite. It is another area where a presence is necessary. There is also a history of BOAC having a shareholding in Gulf Air. Therefore, maybe the mention is not so much wishful thinking as at first it appears to be. The first candidate to be mentioned in all the press was QANTAS. The reasons for this are twofold. Firstly in March 1993 BA invested in a 25% stake in the airline - which it subsequently sold. More relevantly, though, in 2008 while negotiations between BA and Iberia were going on, Qantas proposed merging with BA. This seemed logical but irked Iberia and came to nothing. Notwithstanding that, there may be a future in a merger if both Qantas and IAG are looking at Asia for expansion. Qantas has two lost cost affiliates called Jetstar. The Australian company is 100% owned while the one based in Singapore is 49% owned - as required by local law the majority has to be owned by Singaporeans. These provide for Qantas to extend its reach in (South East) Asia. Air Asia, which is a low cost carrier flying out of Kuala Lumpur to regional destinations together with its transcontinental subsidiary Air Asia X (flying to London and soon to Seoul,Tokyo and Paris(?)) have been mentioned as candidates for takeover. One analist suggested that such a move was unlikely while Malaysia Airlines was a better fit for IAG. Cathay Pacific,together with its subsidiary Dragonair, a founder member of "oneworld" was mooted and flies out of Hong Kong. The problem in this case is the position of the Chinese government. As any investor in HK over the years since the return of HK to China have found that despite the economic system in HK being different to the mainland they have been "persuaded" to reduce their shareholdings in HK businesses to less than half. "Air China, China Southern and China Eastern as willing recipients of foreign investment", then IAG will come up against the barrier of a 25% investment as a maximum. The other market which has been focused on is India. Kingfisher has been accepted as a candidate for entry into "oneworld" with BA announcing codesharing agreements with the airline. Probably for that reason it has been looked upon as a takeover target. However, at the moment the Indian government does not, as yet, permit any foreign participation in its airlines. Thus this company is not an immediate target. Whatever the future decision of the Indian government to allow foreign shareholdings, it is likely to be a minority foreign participation - probably 25% initially. That being the case in both China and India, does IAG want to be a minority shareholder of any such airline? or will it be looking more longer term when such restrictions might well be eliminated? We can now say that though BA seemed lost in July its new grouping, IAG, seems to be more focused in September. Time will only tell what IAG will do but without doubt the merger will be and has to completed before anything noteworthy happens - are we looking at two years down the line, 2012?